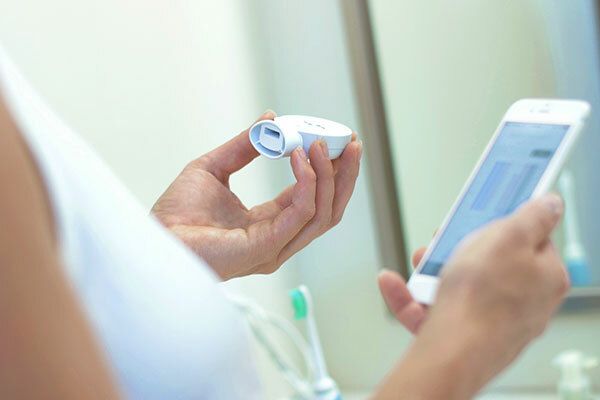 Breathometer's oral hygiene breathalyzer could help users prevent periodontis, halitosis, and other nasty oral conditions. Knowing is half the battle. Here at SnapMunk, we’ve touched on the topic of breathalyzers for alcohol, but now there’s one for oral hygiene and “breath health.” It’s called the Mint and it’s produced by Breathometer, the same makers of a breathalyzer that was featured on SharkTank. According to recent research, 47% of the adult population aged 30 or older have mild, moderate, or severe periodontis, a gum infection that damages soft tissue and destroys your teeth. Mint wants to make you aware of these treatable conditions. Mint is a compact wireless breathalyzer device that connects to your smartphone to help improve your oral hygiene. 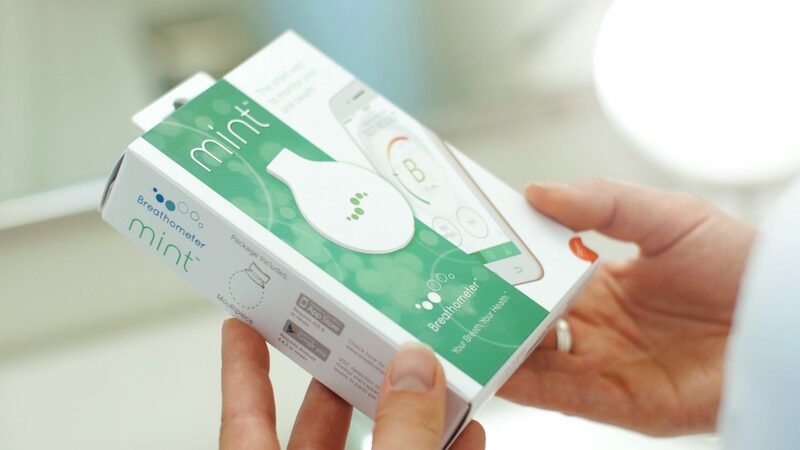 Through advanced sensors, Mint is able to detect and report on harmful bacteria. In just a manner of seconds Mint is able to draw, analyze, and record the state of the user’s health. 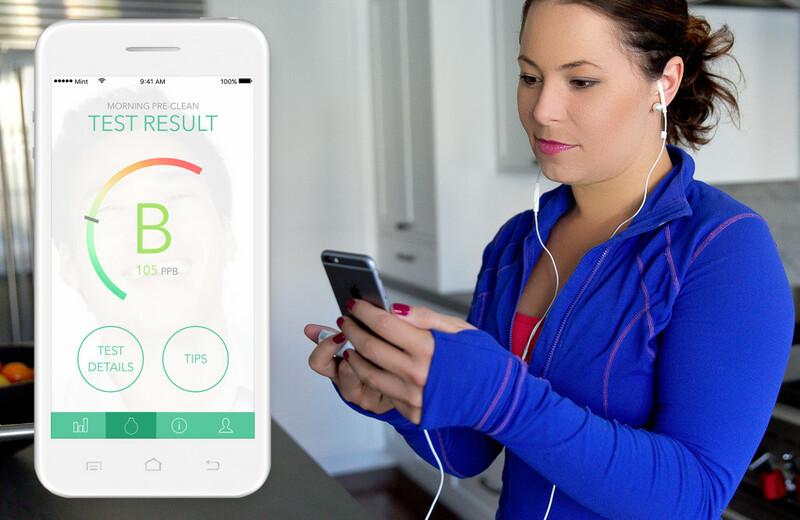 To help with usability, the app provides suggested times to check your breath, or it can be used alongside a standard routine cleaning. More than just a tool to log information, the Mint app is built with a machine learning back end so that users can gather essential insights. For example, this advanced logging enables users to know what to expect at their next dentist visit, or how their diet is impacting their health. The Mint breathalyzer measures breath quality by checking volatile sulfur compound (VSC) levels, which are created by anaerobic bacteria biofilms in the mouth. These typically are elevated by certain foods and beverages which are consumed, and they also can indicate tooth decay. Specifically, the sensors in Mint are measuring Hydrogen Sulfide, Methyl Mercapthan and Hydrogen Disulfide levels in parts per billion. Hydration is another core element measured by Mint. Good hydration plays a role in regulating body temperature, stimulating metabolism and promoting regularity. Hydration levels are measured by monitoring the moisture level of the mucus membrane, which is the first location where dehydration symptoms occur. After checking levels, Mint offers suggestions and tips on improving the measurement. The mobile app features health activity tracking, built-in sharing capabilities, HealthKit integration, and a recommendation engine to assist users in reaching their goals. There’s also a rewards program for users who consistently reach their goals, plus an opt-in leaderboard to share results. Mint’s sensor technology is powered by a fuel cell and connects to the user’s smartphone via Bluetooth LE. The Apple version of the mobile app requires iOS 9.1 or newer while the Android version requires Android 4.4.4 or newer. The package includes a mouthpiece and USB cable. Mint is available for purchase via the company website for $99.99. To date, the company has raised $4.6M in three rounds from ten investors including Mark Cuban, Daymond John, Kevin O’Leary, Lori Greiner, and Robert Herjavec. They also secured $119,591 via an Indiegogo crowdfunding campaign. Very nice! I love the app attachment and the fact that it gives you a visual each time you use it. The funding alone will tell you that a few others feel the product has a place for consumers. One of the most embarrassing things is having the bad breath and not being able to tell until others are turning away from you. I might spend this kind of money to be reassured.